Circus Company and The Mole have long been making eyes at each other across the same crowded dancefloor. Colin de la Plante’s primary project is synonymous with the off-kilter corner of house music we like to spend our time dancing in, and the labels he releases on are close cousins of the Circus troupe. From Wagon Repair to Philpot, Musique Risquee to Perlon, it’s a wonder that we haven’t worked together previously, but finally that’s been put right with Little Sunshine. 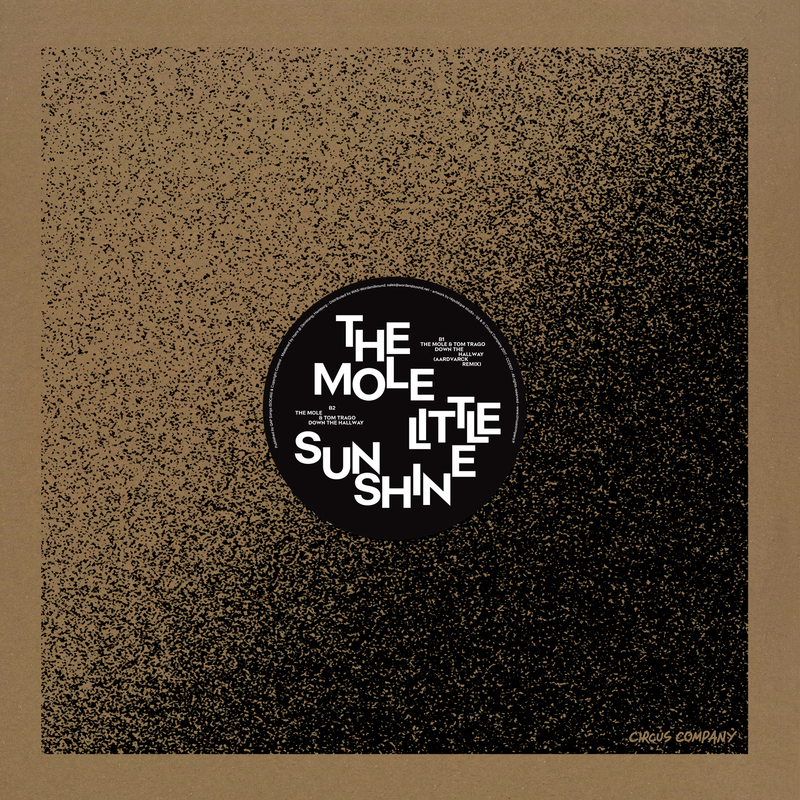 Stripped back, understated disco grooves have always been the bread and butter of The Mole’s sound, while infectious, cyclical melodic patterns are equally important in making his unique version of house music. On the title track, those elements are presented with full force, but in between the driving rhythms linger the most gorgeous keys, bringing a mellow introspection to the track as a neat counterpoint to the energy of the drums and arpeggios. Compared to the clean lines and peppy tempo of “Little Sunshine”, “Discotheque Airplane” is an audacious swerve into low and slow territory, where dusty samples rule the day and the bass swells in and out of earshot with a truly mesmerizing effect. It’s a moody affair loaded with tension, mystery and funk in abundance. As if that wasn’t enough proof of the variety in The Mole’s repertoire, on his collaboration with Dutch hero Tom Trago for “Down The Hallway” we find the pair exploring lean, focused techno, where the simplest of rhythms propel a haunting, distant vocal lick. It’s the drum sounds that make this a special cut, championing warm, natural percussion instead of the methodical drum machine hits found in most contemporary techno. Rounding the EP off in a beautifully mysterious style is Aardvarck, whose remix of “Down The Hallway” takes the subtle foundations of the original and builds delicate, lilting melodies on top. With creative distortion and masterful layering of the many synth parts, it’s a captivating, emotionally-loaded slice of inward-looking music that adds to the intriguing, alternative vision of dance music proposed on every track of this 12”.